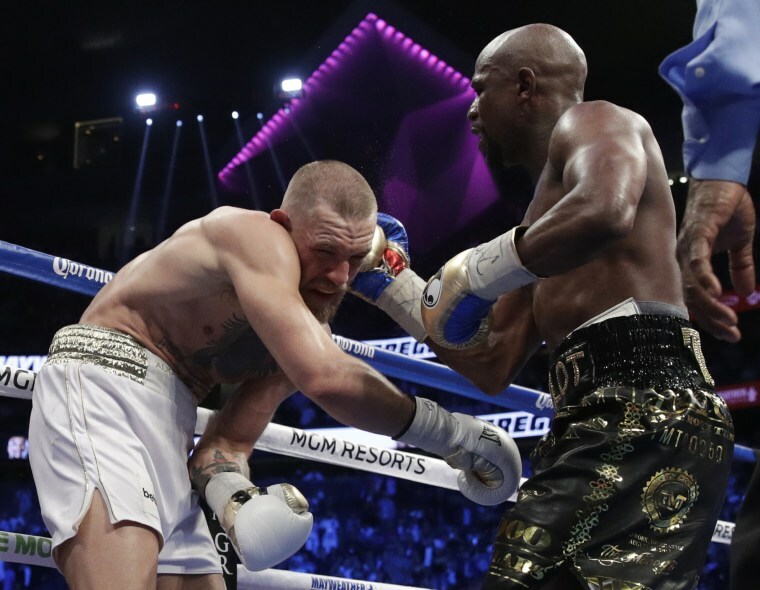 LAS VEGAS — Floyd Mayweather Jr. figured out a 50th opponent, letting Conor McGregor have the early rounds before stalking him late and leaving the mixed martial artist defenseless and exhausted on the ropes. "Our game plan was to take our time, go to him and take him out in the end," Mayweather said. "I guaranteed everybody this fight wouldn't go the distance." Mayweather was widely criticized for not going after Pacquiao in their megafight, and he didn't make the same mistake this time. In a fight that could make him $200 million he seemed to stagger McGregor with a series of punches in the ninth round, then came back in the 10th eager to finish it off. "This is my last fight for sure. 50-0 sounds good, I'm looking forward to going into the Hall of Fame," Mayweather said. "I picked the best dance partner to do it with."